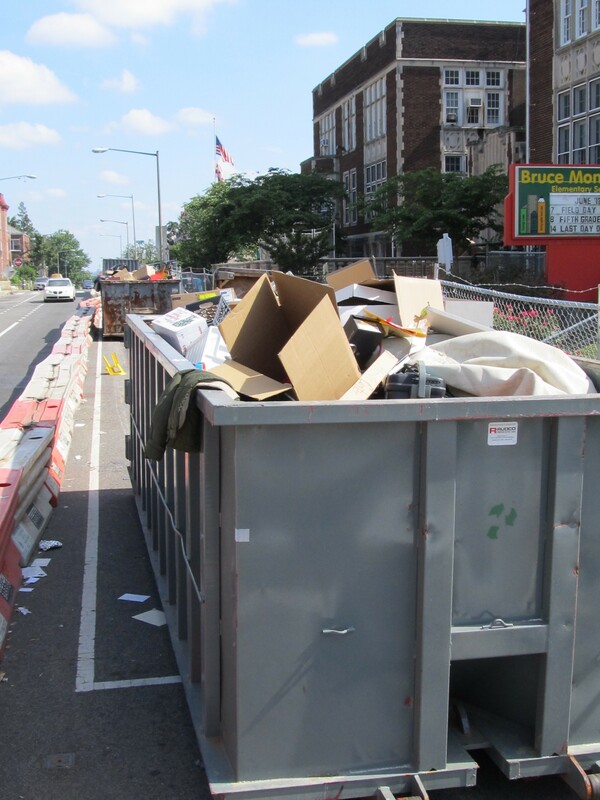 streets | Park View, D.C.
On Thursday, May 4th, DDOT announced that they were making some changes to the requirements for use of dumpsters. The full news release with details is below. I’m happy to see that DDOT is incentivizing the use of smaller dumpsters and limiting the number of parking spaces that can be used per dumpster. I still think that the District undercharges permit holders for the use of public space in high demand areas, a position I took as part of a resolution I introduced at ANC1A back in July 2015. (Washington D.C.) The District Department of Transportation (DDOT) Public Space Regulation Administration is revising requirements for the use of roll-off-debris containers. These requirements will appear in the Transportation Online Permitting System (TOPS) effective May 19th, 2017. The new TOPS module will include permit application requirements and the Public Inconvenience Fee (PIF) for larger roll off debris containers on roadways that are designated for Residential Parking Permits. The new requirements offer an incentive to use smaller containers, which reduce the number of parking spaces affected by use of the containers. Under the new requirements one container will be approved for individual use. No new roll-off-debris container permit applications or renewals will be accepted after May 11, 2017 pending the roll-out of the new module. All roll-off-debris container applications or renewals submitted on or after May 19, 2017 will comply with the new permitting requirements and PIF charges. 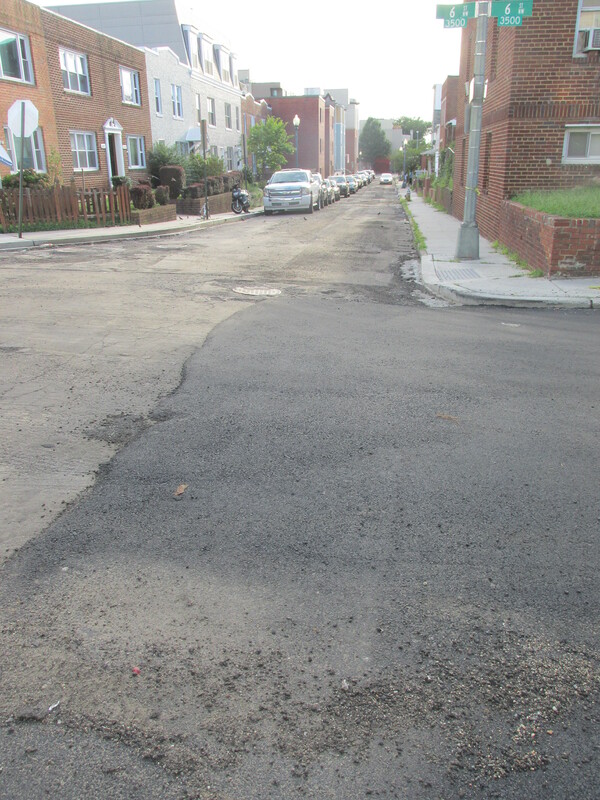 DDOT’s new TOPS enhancement is designed to ensure that the impact of roll-off-debris containers in residential areas is reduced, while still allowing this necessary element of the construction process. The new requirements address concerns raised by residents and reflect input from stakeholder engagement with the development and contracting communities. 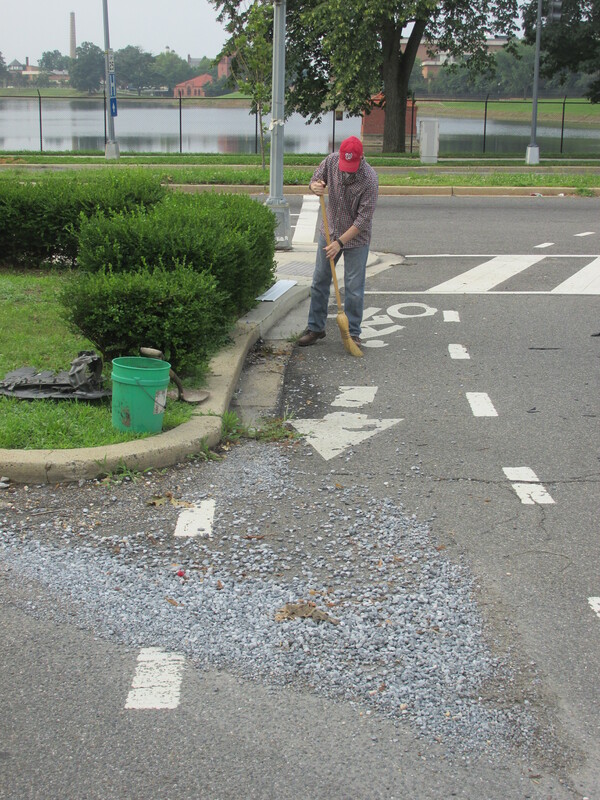 For more information about DDOT’s Public Space Regulation Administration please contact (202) 442-4670 or click TOPS (www.tops.ddot.dc.gov) to access the online permitting system. Could Bioretention Bulbouts Increase Safety and Parking at Park Place and Quebec? Recently I began thinking about how to improve safe access to the small triangle park at Rock Creek Church Rd. and Park Place after a neighbor asked if it would be possible to close the street or add speed bumps to the small section of Park Place that directly abuts the neighborhood on the west of the park. After giving it much though, I think the best solution would be to add a few bioretention bulbouts to the area. However, it would require buy-in from the neighbors and a lot of sustained advocacy from the community. Below is a quick and dirty illustration that conveys the idea. The main problem with Park Place minor as it is configured today is that cars using this street take little heed for pedestrians and others as they travel from Rock Creek Church Road to Park Place major. The street is necessarily wide, and the crosswalk and stop sign at the southern end are set back, so as that anyone stopping at the stop sign is too far back from the road to see traffic on Park Place major. Driver that do stop have to creep to the end of the street to see oncoming traffic — both cars and cyclists in the bike lanes — and this is if they stop at all. Frequently, drivers on this small stretch fail to stop at the stop sign and do a rolling stop as they turn to head south. Closing the street doesn’t seem to be a good solution either, as the residents who live on the street would lose three parking spaces and it would make it necessarily difficult for delivery vehicles, moving vans, fire trucks, and ambulances to serve the these houses. Strategic placement of bioretention bulbouts could narrow the entrance and exit of the street to a single lane. The benefit of this is that is would calm traffic and make the crosswalks shorter (and safer) to cross. 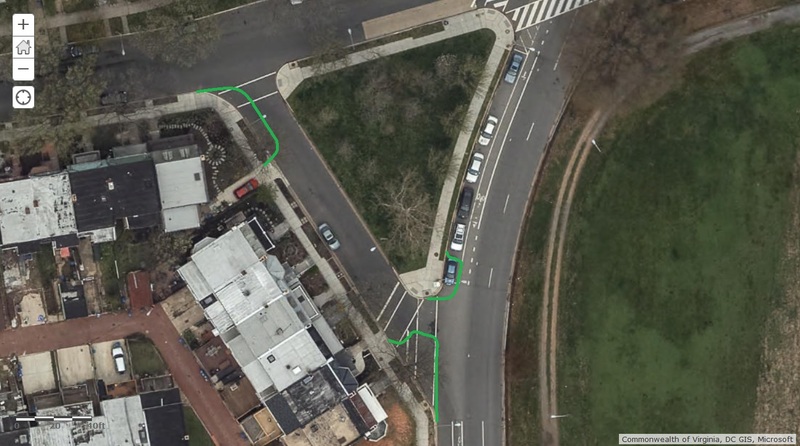 A bulbout on the southern end of the triangle park would remove one parking space, increasing viability and safety for drivers and cyclists … and the bulbout on the southern end could be configured to add street parking by one to three spaces depending upon configuration. The only significant down side I see is cost, so there would need to be both consensus among the neighbors most impacted and a sustained advocacy. Perhaps the way to “sell” this to DDOT, DOEE,& the Council would be to bundle a number of these smaller projecting into a pilot program. I was recently alerted that some of the new paving work that is occurring in the neighborhood hit a temporary setback. 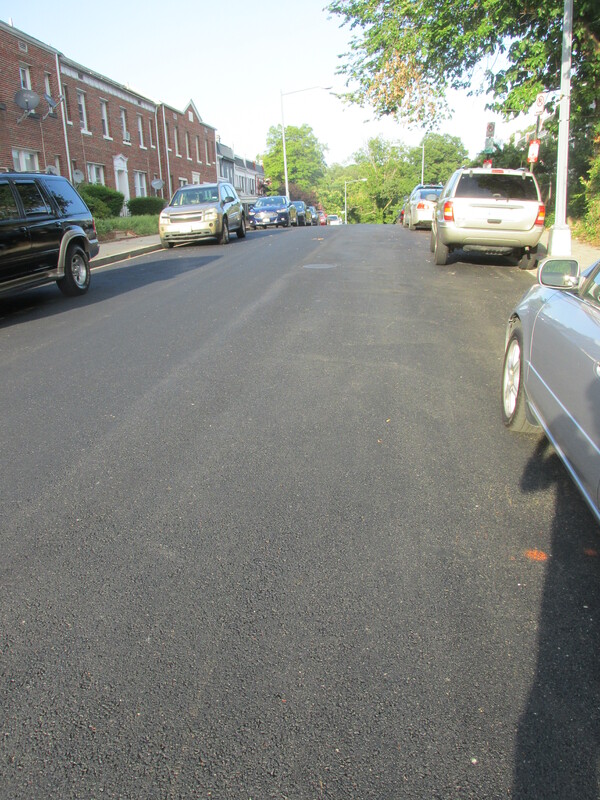 Some may have noticed that area streets like Manor Place have recently been repaved. To the west of the Park View School 6th Street is also mostly repaved. 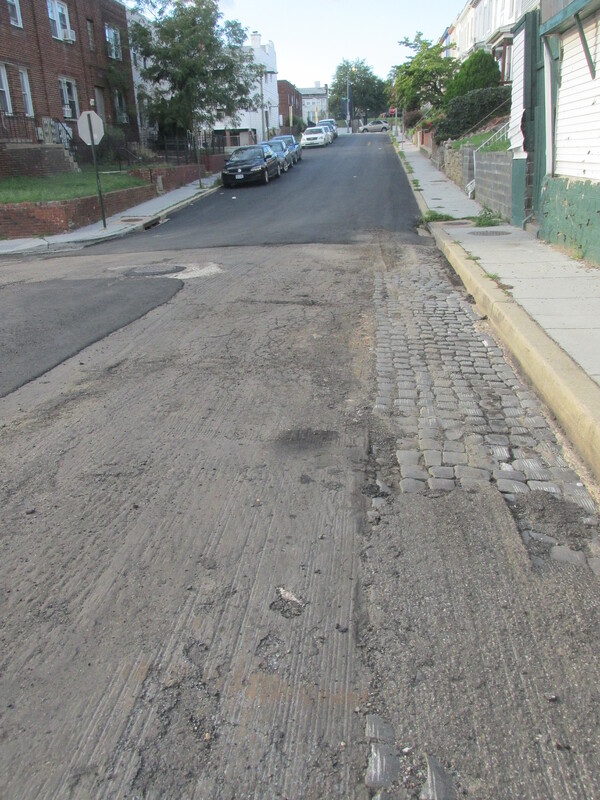 However, the 600 block of Newton Place (between 6th and Georgia) has been prepared for new paving but that work has not occurred. After contacting DDOT, this is what I’ve learned. The installation of the new pavement on Newton has been stymied for the past few weeks due to the paving machine breaking down. The machine is currently being repaired with expectations that it will be repaired soon. Once the repairs are completed, the work on Newton Place will be completed. Following up on last week’s community meeting with DDOT and my longstanding interest in improving our streets, bike lanes, sidewalks, and tree canopy, I’ve begun a deep dialogue with DDOT asking for a wide range of statistics, funding details, and road history. This will eventually lead to a community task force and collaboration with Advisory Neighborhood Commission 1B’s Transportation Committee. If you are interesting in working with this group, let me know by sending an email to me at 1A08(at)anc.dc.gov. One aspect of street improvements that has continually been a barrier in past conversations with DDOT has been the classification of our streets. 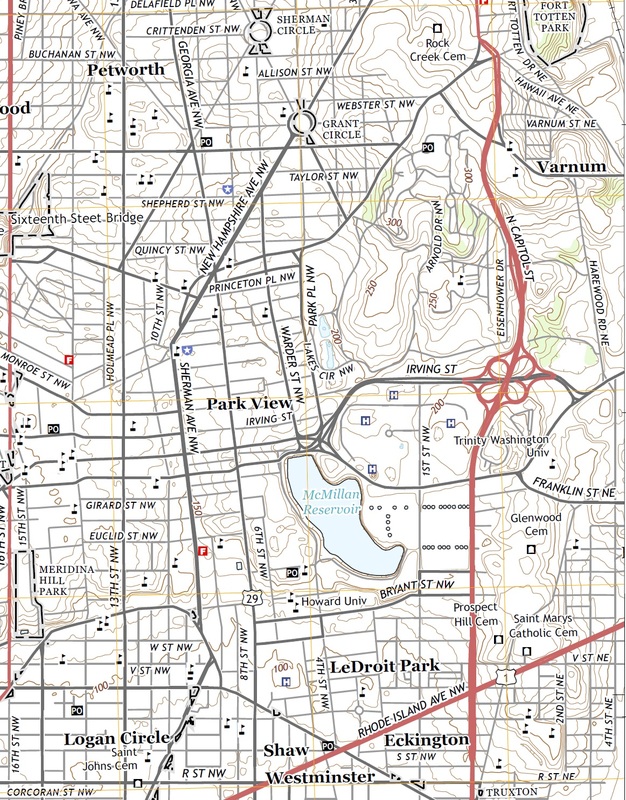 Interestingly, I was able to find a 2014 U.S. Geological Survey map of D.C. which shows the street classifications which I wanted to share. 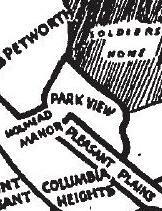 I find it interesting, for example, that Quebec Place, Park Place, and Warder are all classed as local connectors. These streets are widely different in character. None-the-less, its a good place to start in order to begin understanding how we can better manage our public resources in the area. I know that there are a good number of people in the neighborhood who care about sidewalks, street configuration, bike lanes, trees, and traffic. I’ve definitely been among them by advocating for a reconfiguration for Park Place, looking for ways to add more trees to treeless blocks, and asking DDOT for a long-term plan to address a number of challenges that can’t be accomplished quickly, such as the tree desert we have in the heart of the neighborhood. Tonight, the Park View United Neighborhood Coalition has organized a meeting that will include DDOT representatives where these issues and more can be discussed. The meeting will be held at the Park View Recreation Center and begins at 7 pm. This coming Wednesday, June 3rd, the Park View United Neighborhood Coalition (UNC) has invited speakers from DDOT and the Great Streets program to talk about long-term street planning in our area. We had initially hoped these speakers could discuss 1) a streetscape plan for Park View that would include widening sidewalks, installing tree boxes, placement of bike lanes, and safety features, as well as 2) past and future opportunities created by the Great Streets program. 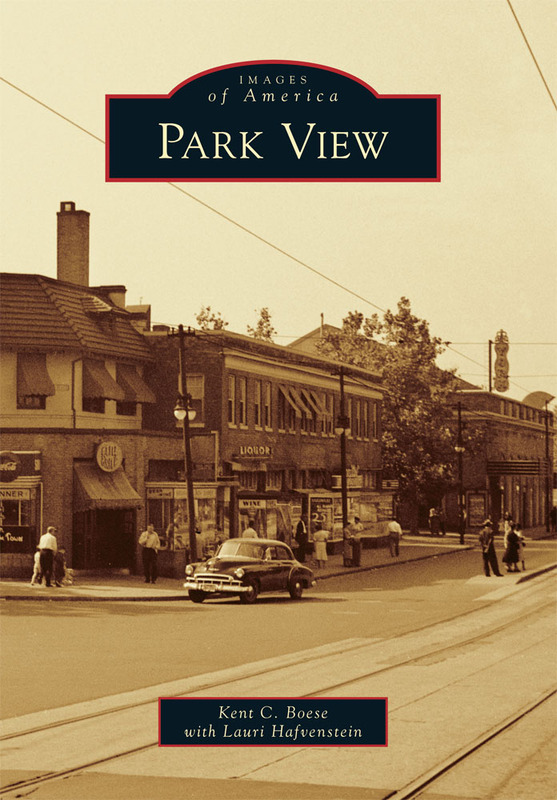 Unfortunately, we have learned that contrary to last year’s assertions by DDOT officials, there is no current work being done on a streetscape plan for Park View. The Great Streets program is also not doing work in Park View in the near future (this was less of a surprise to us). This news makes it all the more important for neighbors to come together at this meeting to talk with city officials about the future of our streets and sidewalks. Representatives from the Mayor’s Office and Councilmember Nadeau will also be present at this meeting, which can help move the discussion forward. In addition, I would like to note that a representative from the Mayor’s constituent services office will attend to take input from neighbors about alleys and streets in need of repair or resurfacing. If your block needs attention, I suggest you attend!